Jazz trumpeter and composer Michael Stever teaches at the University of Southern California Thornton School of Music. 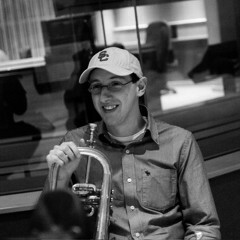 An alumnus of the school, Stever has performed widely, most notably as lead/solo trumpet for the “Mancini at the Movies” tour, and has recorded with Steve Miller, Brian Culbertson, Eric Marienthal, and Eric Darius. As a composer, Michael has written for Ramsey Lewis, Steve Miller, Reneé Olstead, and Brian Culbertson, and contributed to music preparation for Ray Charles’ album, Ray Sings, Basie Swings. Stever received his undergraduate degree from the University of the Arts in Philadelphia and is currently a member of the Los Angeles Brass Ensemble.